Common bath soaps come in bar and liquid form. The primary purpose of bath soap is to cleanse, but it should also sooth the skin and help it remain healthy. The majority of bath soaps on the market today are designed to target specific skin issues, like dry skin. Unfortunately, the ingredient list found on most soap is not very appealing. Soaps are usually composed of two main ingredients which are alkali and animal or vegetable fat. Most bath soaps on the market also contain synthetic ingredients or alcohols. 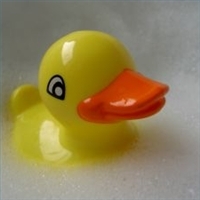 Some commonly used chemicals found in bath care products have been proven to have side effects. Since anything coming into contact with the skin can ultimately be absorbed, and affect the body, it is wise to be aware of what is in the products we are using. The facts about standard bath soap have led some to choose organic soap instead.